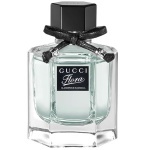 Gucci Flora is a modern iconic fragrance combining the iconic symbols of Gucci's past with a contemporary, charming design. 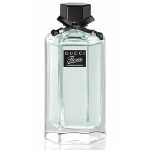 Presented in a hexagonal black and gold glass bottle. 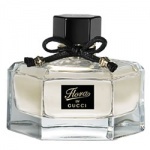 The iconic Flora pattern presented for the first time in black and white. 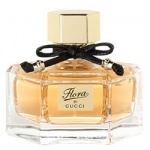 Gucci Flora is a subtle and sophisticated floral scent, built on a fresh and feminine breeze of flowers, such as Rose and Osmanthus, with a top note that conveys the freshness and lightness of citrus fruits. Fresh and feminine, the fragrance remains very Gucci, with a sensual and subtly powerful base note of sandalwood and pink pepper. 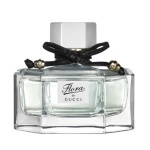 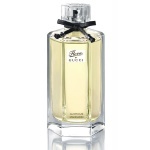 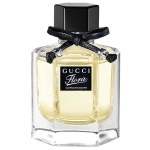 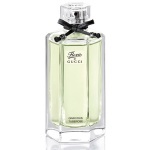 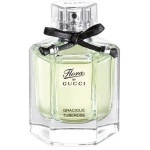 Gucci Flora Parfum is a stronger and more sensual version of the first Gucci Flora EDT fragrance.